You Are Here: Home » QuickPress » Non-GAAP Measures: Here to Stay? 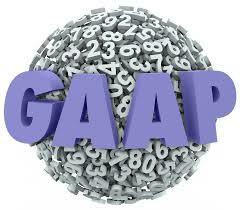 The debate over the use of non-GAAP performance measures continues. Even as the prevalence of these items grows in the financial reports of public companies, cautionary tales of the uses and abuses of such metrics garner headlines. Lucas M. Parris, senior member of Mercer Capital’s Financial Reporting Valuation Group, explains. To read the full article in Mercer Capital’s Financial Reporting Blog, click: Non-GAAP Measures: Here to Stay?